Got to admit I was slightly underwhelmed when I opened the box and saw lots of paper. Until I actually looked at the items and it's a really good box. 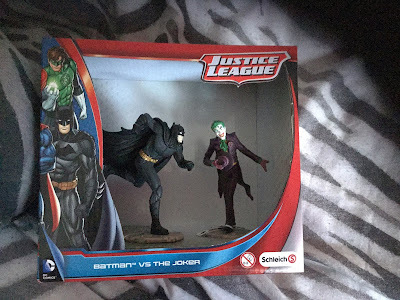 There is normally a joke item in the box and there wasn't this month. 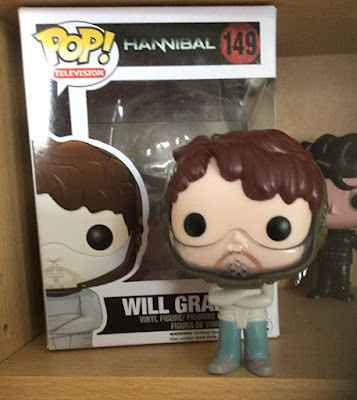 I knew there was going to be an Hannibal Funko pop this month, honesty it wasn't something I was going to collect with pops, but I think he looks pretty cool next to Hannibal Lecter. 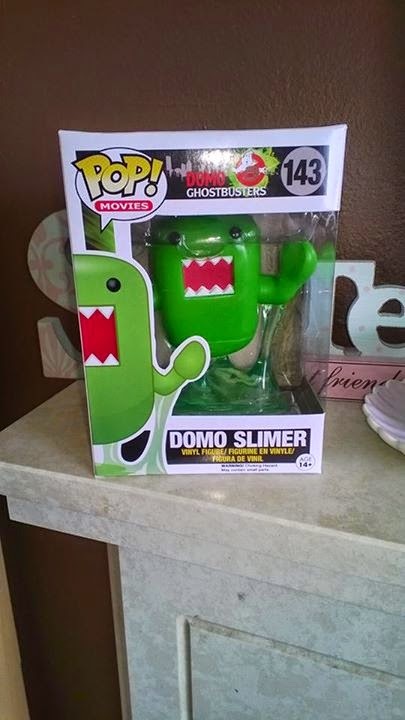 So I think I will keep him in my collection. The creature from the black lagoon, recently celebrated its 60th birthday and there is a cool exclusive collectible print. Horror block short film fest DVD - I have watched a few of the film fest videos but not all, so it will be nice to see them all together. I know what I will be doing once the kids are in bed. 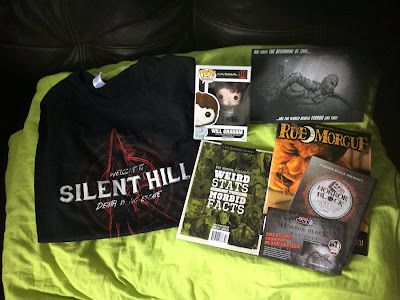 Silent Hill shirt - I was secretly hoping for the silent hill nurses and I had a feeling it was going to be on the shirt this month. I was half right and it was Pyramid head on the front. Still a good choice and he would of came a close second to my favorite. Weird stats and morbid facts book - this is pretty interesting and I love reading up on stuff like this so it will be a good resource to look though. Then the last item was the Rue Morgue magazine. 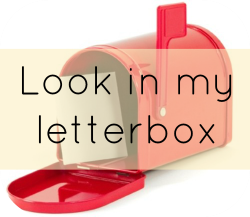 I had a few parcels last Saturday after the last #LIML posted, but I've had to eagerly rush to the post office this morning to pick up all my parcels for this week as we have been in Blackpool. Monster high doll which was brand new in box from eBay which was only £6 with postage. I know when I was younger Monchhichi was all the rage and I was never allowed one, I used to love their little cute faces and soft bodies. Bandai have been appointed the Monchhichi distributor in the UK for 2015 and beyond. It's new collection launched in April. Along with new designs, new styles and new outfits. The original Monchhichi character was born in 1974 in Japan. Created by Mr K Sekiguchi. Owner and president of Sekiguchi Co Ltd, he developed a ' human like' monkey doll who sucked his thumb to become everyone's friend and to deliver messages of peace and love around the world. The name Monchhichi comes from the French word " mon petit" = ( my small small thing) + the hint of "mom" from the English word monkey + the sound of sucking on a pacifier like " chu-chu" in Japanese. All together it gives us "Monchhichi". Monchhichi has won over fans for decades and generations, uniting a broad audience ranging from children of all ages , both boys and girls, to young adults. 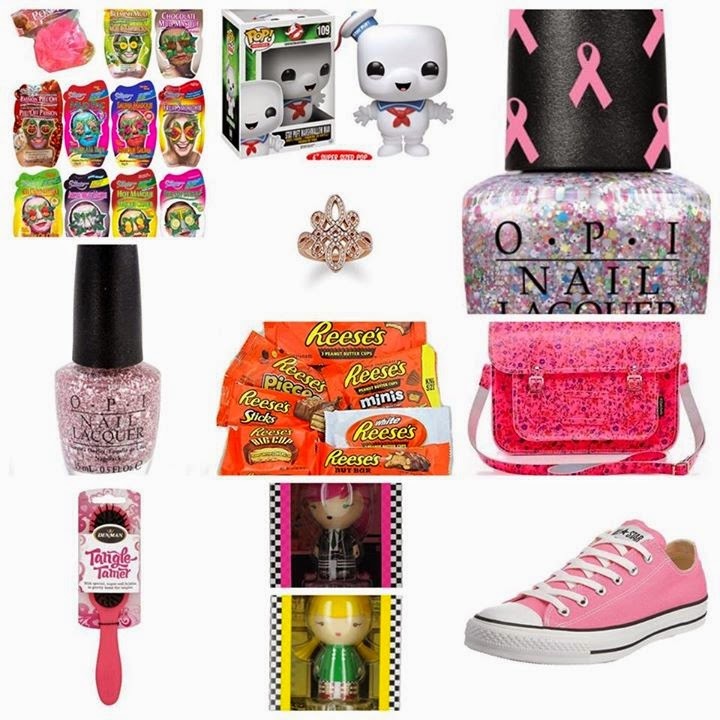 Today more than 70 million toys with accessories have been sold in over 40 countries. We are taking a few days down Blackpool in half term and this is what I've packed for Lexie. 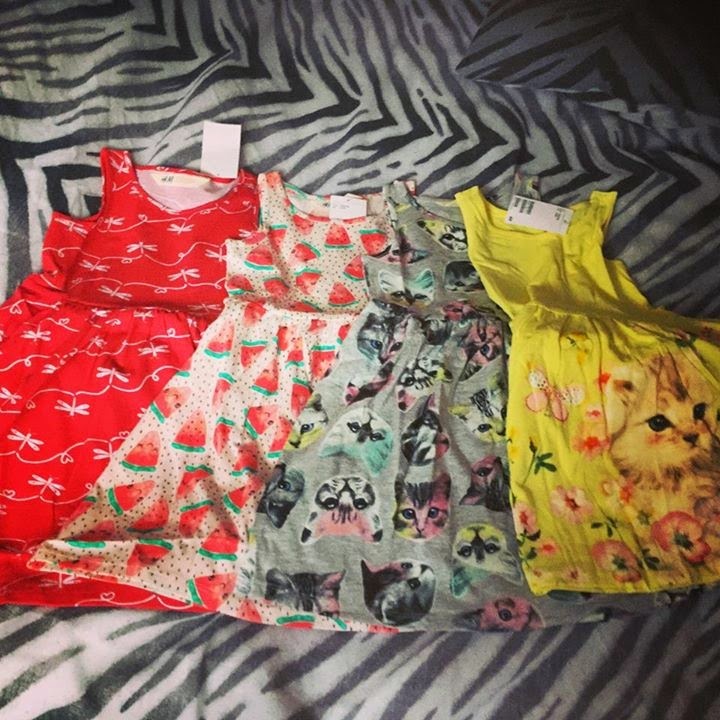 Two beach dresses from H&M, I buy these every year for her and I can't grumble at £2.99. They are very lightweight, easy to wash and comfortable. Next outfit is some Frozen Elsa jeggings/leggings from H&M. Teamed with a cute slogan top from Primark. Outfit number 3 is a lace long top from TU and a plain denim Next skirt. The last outfit is a cute Peppa pig top with small frilly sleeves, which I can't remember when I got it from last summer. They the skirt is a simple style from H&M, I love the flower pattern inside of this. So it's my birthday next month and every year I struggle to tell people what I want when they ask. Personally I think I'm really easy to buy for I'm pretty girly, love bath items like bath bombs, face masks and nail polish. I have an obsession with Pop Vinyls at the moment too, but I do have quite a few of them now. I have a huge thing for anything Reeses at the moment, peanut butter and chocolate just goes so well together yum! So I've put together a little Amazon Wishlist here. Back To School With Great Gismos NICI range. Since Lexie has started nursery she has really developed in all areas of learning. She has found a confidence and has taken a love to anything crafty. 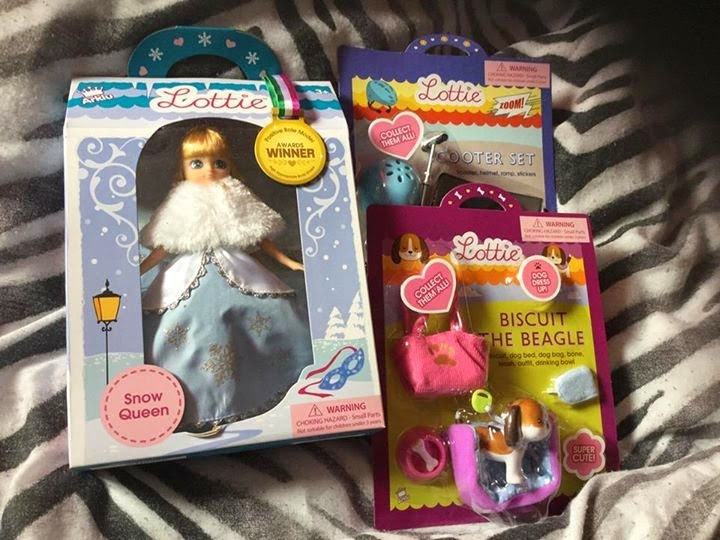 Great Gismos sent us some of their NICI range for Lexie to use. The first item was a lovely cute character Timmy Time backpack. Lexie has to take a bag to nursery which normally includes a mix match of toys that has to go with her, along with a spare set of clothes and sun cream. The backpack is big enough to fit all these things in, you lift up Timmys head to fill him up with your items. The bag has adjustable straps for a comfortable fit as well as a super-soft plush finish. 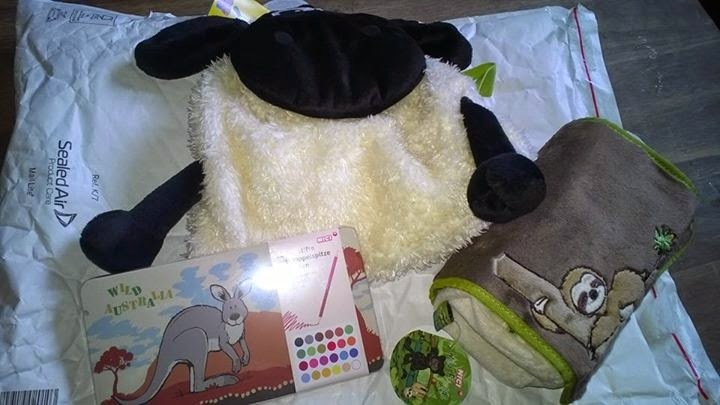 With plenty of space and a fun sheep design, this backpack is perfect for school and travel. He will be joining us on our trip to Blackpool in the half term. We also received a super soft sloth roll pencil case. The case itself is so soft to touch, gives the impression hoe he feels in the picture. The pencil case has a large compartment with a roll out part which you can add more items like these cute Wild Friends Scissors. Sloth Howard, black panther Carter, and Anthony the colourful beetle, enjoy life in the jungle carefree and happy. Howard the sloth is the cuddle-champion, Carter is like a big brother who takes care of everybody, and Anthony keeps the group entertained. You will surely fall in love with these cuddly plush toys and gorgeous accessories. We also received a lovely Kangaroo pencil set in a keepsafe tin. The set includes 12 pencils but with 24 different colours. I love the concept of these, which is the pencils are a different colour each end. I always find pencils are a waste of money as you never get to the end of one. These you will use both ends which is a great idea when you have little ones about. Perfect for crafts activities at home or they would fit nicely in a bag if you are on your travels. The lively kangaroo-boy Sam and his mother Camira live in Australia's wild outback. One day, the two meet the saurian George on one of their rambles. The little kangaroo enjoys every minute he can spend with George and is willing to stretch the rules when Sam and George romp around in the red sand. Labels: back to school, Great Gismos, NICI range. I've wanted to make some DIY picture collage canvas for the kids bedroom for a while. My daughter has the My Little Pony magazine each month and it seems a shame to throw them all away, once they become ripped. I think a simple idea like this can revamp a bedroom when their phases of characters change. We all know that they can like one thing then like something else the week after. I placed all the cut up pictures first on the canvas to figure out where they will go, then I covered the canvas with the mod podge sparkle glue. I stuck all the pieces down firmly then covered all the pieces with the mod podge to dry and go hard and shiny. I love the sparkle glue as it's very fine rainbow glitter and it's so pretty when the light catches it. Then once dry I trimmed around the edges and added ribbon to hang. Check out Hobbycraft for all your craft essentials. I have a little giveaway, to say thank you for you following my blog. I know I'm not the totally best blog out there. Sometimes my grammar and spelling can be a bit off, but personally I know how much I have grown throughout them 4 years. 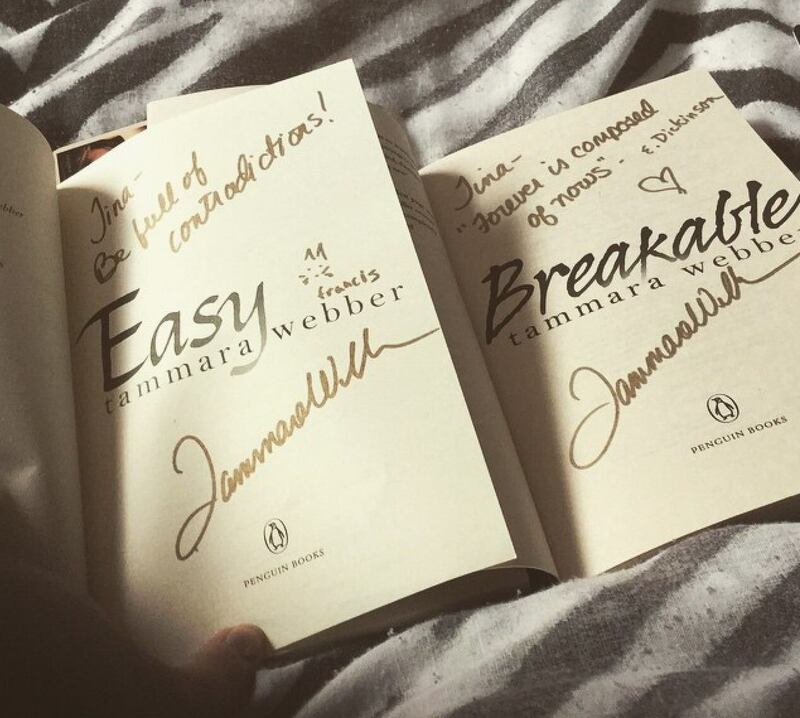 I do work hard even though sometimes it may not seem it, I enjoy writing my blog and making my posts for you to read. So i huge thank you for following and being a reader. 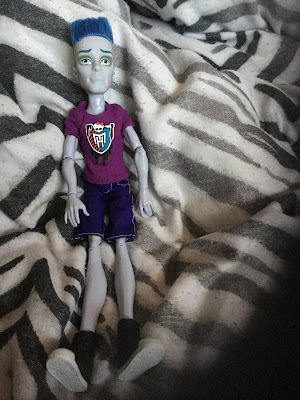 Hi everyone, here is my weekly round up with items I've received this week in the post. 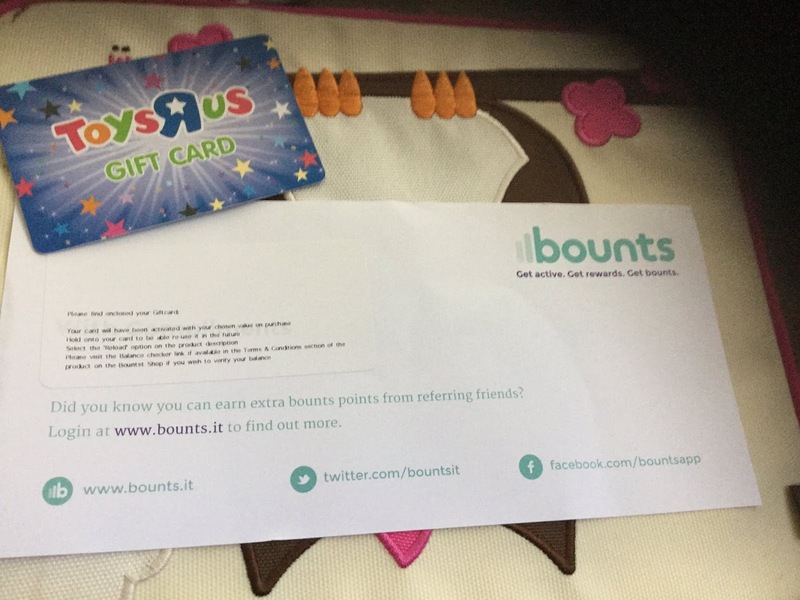 Lottie doll and two accessories. 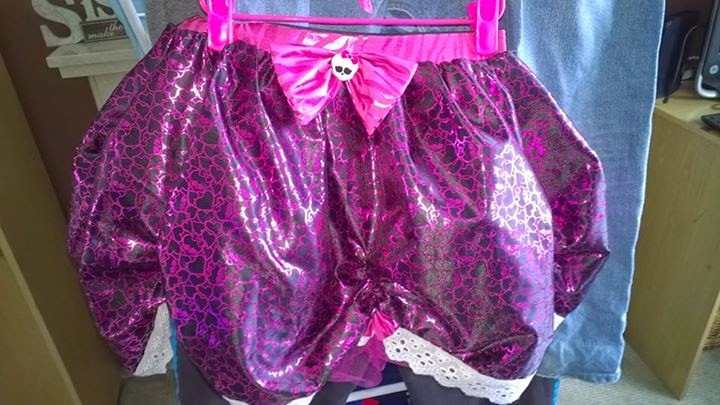 Monster high tutu/skirt - £4.20 from eBay. 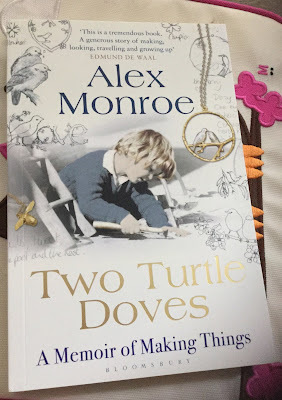 I haven't done a loves and likes post for a while, so here is a round up of my favorite things in May. 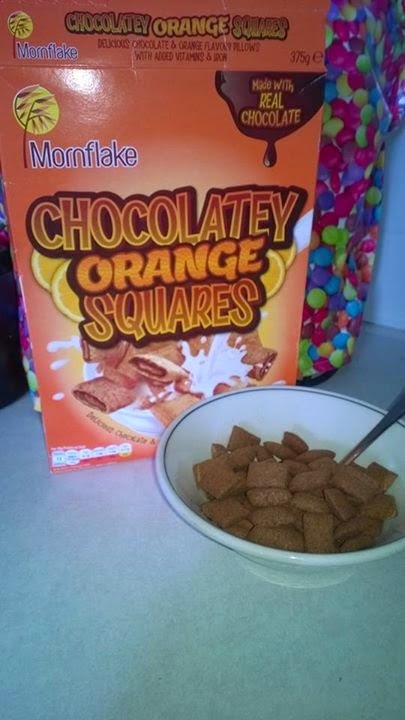 The kids love testing out new cereal especially anything to do with chocolate. The kids have had a similar chocolate square cereal before and it's been a firm favorite. 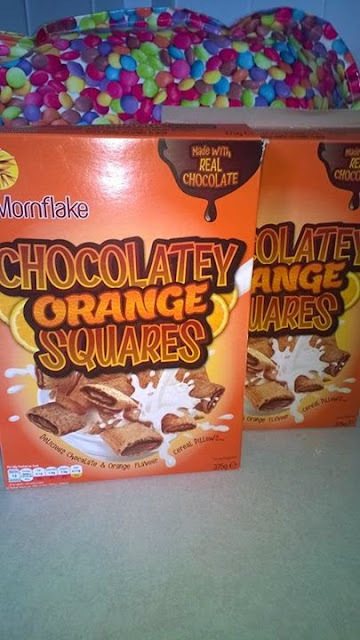 Mornflake have revamped there chocolate squares with adding orange in to there filling with real chocolate. As soon as I opened the box the orange scent is quite strong, it reminded me of the smell of Terry chocolate orange. They are pretty tasty and even though the smell is quite strong inside the pack the orange flavour isn't overpowering like I thought it would be. The kids have enjoyed them and you can eat them with or without milk. Fortified with 8 added vitamins and iron, Mornflake Chocolatey Orange Squares are a good source of important vitamins and minerals as well as being a cereal all ages will love. Chocolate & Orange Flavoured Filling (25%) (Sugar, Rapeseed Oil, Palm Oil*, Whole MILK Powder, Fat Reduced Cocoa Powder, Milk Chocolate (1.4%) (Sugar, Cocoa Mass, Whole MILK Powder), Lactose [from Cow'sMILK], Emulsifier (Sunflower Lecithin), Natural Orange Flavouring, Natural Vanilla Flavouring), Riceflour, WHEATFLOUR, WHEATBRAN, OATFLOUR, Cocoa Powder, Maize Maltodextrin Fibre, Sugar, Salt, Raising Agent (Calcium Carbonate), Antioxidants (Ascorbyl Palmitate, Alpha-tocopherol), Emulsifier (Mono- and Diglycerides of Fatty Acids), Citric Acid, Folic Acid, Iron, Niacin, Pantothenic Acid, Thiamin [Vitamin B1], Vitamin B12, Riboflavin [Vitamin B2], Vitamin B6, Vitamin D, Vitamin E.
Rosehip oil acts as more than just a moisturiser and can also help with the recovery of scars and stretch marks. The oil is found to be particularly rich in essential fatty acids, the building blocks for healthy skin cells and one of the foundations of the protective layers the skin forms. Rosehips are also crammed with substances called bioflavonoids. Bioflavonoids are found in certain plants and known to be powerful anti-oxidants that have been shown to protect the body and skin against harmful substances called oxygen free radicals. Rosehips also contain a natural vitamin derivative, which, when tested byscientists in the US, has been found to help reduce wrinkles and smooth skin tones. Available in two different blends, Phytaoil and Phytalotion, the range allows you to choose the treatment type you prefer and both come with a convenient spray dispenser allowing you to precisely apply the right amount, reducing waste. 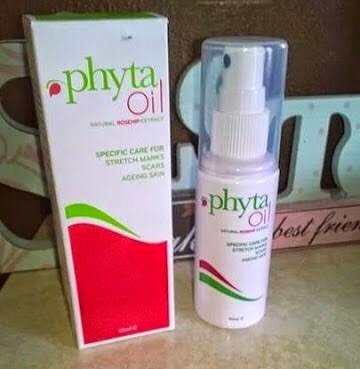 I had the Phytaoil to test out share my thoughts, the oil itself is very greasy so I would use it after a bath on the night, the oil sort of sits on your skin and doesn't absorb to well. 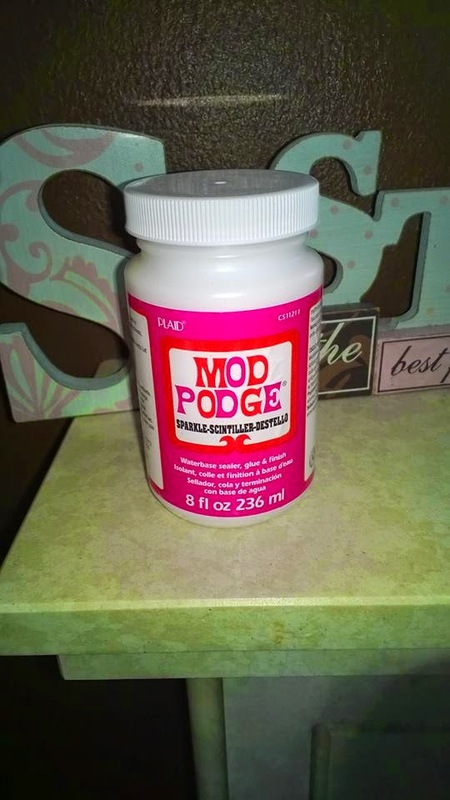 The scent is pretty mild which I find better with an oil especially when it's a little greasy. My tummy after using the oil already feels quite smoother and I really haven't been using it that long, which I'm surprised about. I've used a lot of different oils and I've not had the smoothness like this before. I know previous a lot of the oils are quick absorbing, maybe as Phytaoil sits on your skin it works better getting to the problem direct. 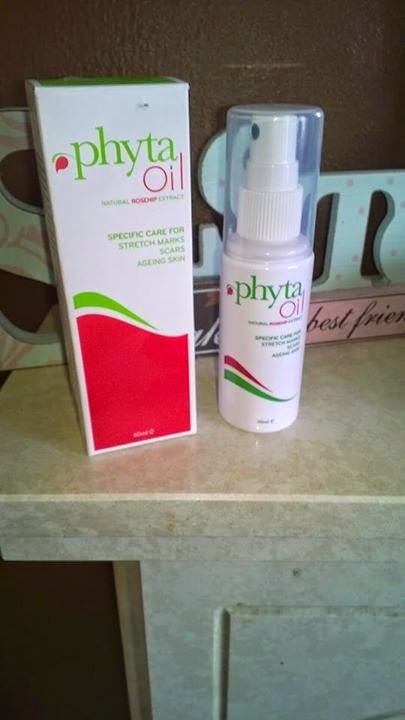 The exciting range from Phytacolhas been designed specifically to capture the power of rosehips and moisturises and tones the skin, and improves the appearance of scars and stretch marks. 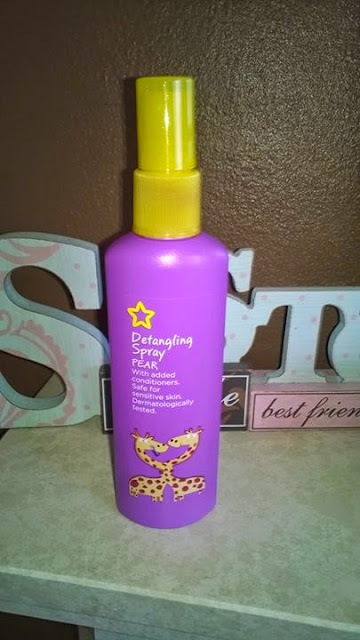 I have to use a Detangling spray everyday for Lexie's hair it's a little and wild after sleeping. I picked this up in Superdrug the other day and so far it's my favourite one I've ever used. I use the spray on dry hair in the morning so I can brush and tie her hair up with ease before school. I was a bit weary online after reading a few reviews that said it leaves hair sticky which I have found the opposite. After the first brush, the brush just glides though making it quick in the mornings. The scent is really nice and I normally avoid pear scented products as the smell can be quite strong but this is lovely to use. I recently won the whole range from Witch on an Instagram competition and I've only just sorted though it all and had a look. I have a bit of a lazy beauty routine on the evenings where I just like to use a wipe and be done with it. By the time the kids are in bed and I've tidied up from the 3rd time I want to be in bed myself. Witch cleansing and toning wipes are easy to use and are perfect to pop in to a bag for when you are on the go. 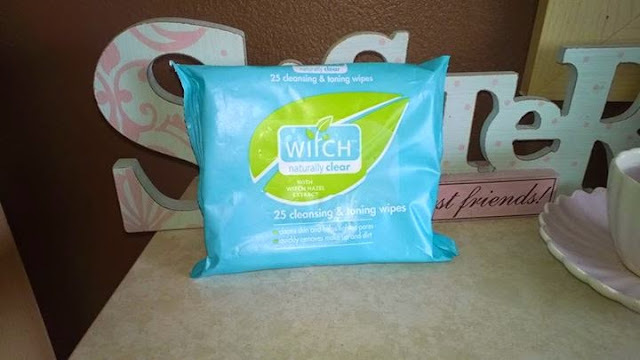 With extract of natural witch hazel, the soft wipes provide convenient cleansing leaving your skin feeling refreshed and clean wherever, whenever! 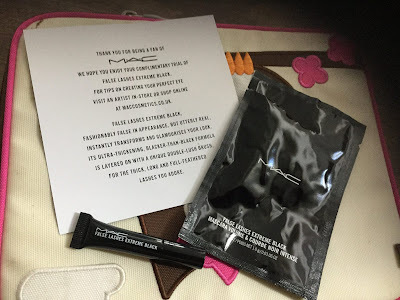 I liked the scent they have off a real clean refreshed feeling after use. Cleans skin and helps tighten pores. Quickly removes make up and dirt. I'm extremely lucky to have both nannies that help throughout the year picking up bits and bobs for both of the kids. They always help when it comes to September and the whole new uniform I have to buy. This year it's double the cost as little miss has to wear full uniform for Reception class. One of the nannies shops at Sainburys so she does regularly pick up things from there. We are going to Blackpool for Nader days at the end of the month, so all of these have been packed for then. Sainburys clothes actually wash and wear pretty well, so this will be great with a pair of shorts for the beach. Plain blue with light blue buttons, going down the leg. White and light blue stripy with bow detail. Then the last pair have a dolphin print on these. Love the tutu effect on this, it's rather posh for bed isn't it. Love the stripy white and blue top then the dolphin print like the leggings. It's rather girly and it will be great for the summer.